John Reece | Colorado Mesa Univ. 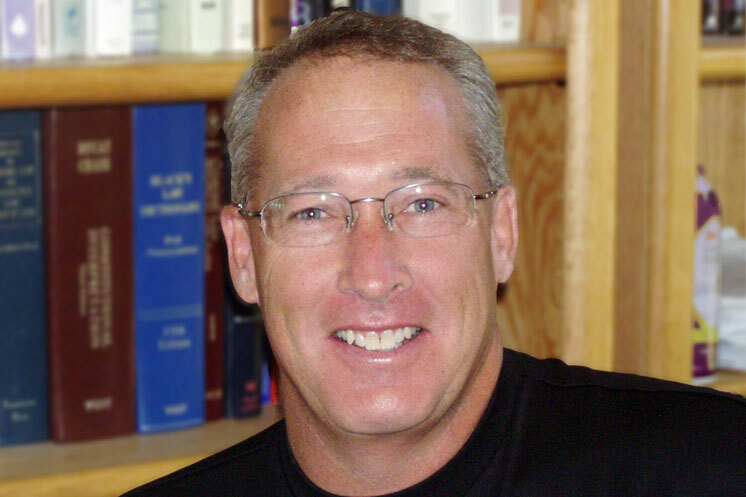 John Reece, PhD, received training at the Colorado Peace Officers Standards and Training Academy and his Bachelor of Arts in criminal justice from Colorado Mesa University. Reece went on to earn his Master of Public Administration from the University of Colorado and his PhD in Public and Business Administration from Northcentral University. An associate professor of criminal justice at Colorado Mesa University, Reece teaches Introduction to Criminal Justice, Ethics in Criminal Justice, Police Process and Senior Seminar in Criminal Justice. His research interests include organizational management, personnel management, public policy, rules of police search and seizure and effective pedagogy. The purpose and focus of his research is to benefit students, CMU and the community. Reece strives to provide students with expanded opportunities to engage in active and service learning, and to participate in research. In a pragmatic degree such as criminal justice, he believes it's important to take learning outside the classroom. He invites a diverse group of guest speakers, representing each component of the criminal justice system, to help engage students in discussions about their careers and job projections/opportunities. Reece also facilitates meaningful and effective student internships with a myriad of local and regional agencies. He utilizes a number of innovative teaching techniques and effective pedagogical approaches and embraces distance/online learning formats. Reece is the former director of the Western Colorado Peace Officers Academy at Colorado Mesa University. He was employed with the Grand Junction Police Department (GJPD) for nearly 20 years. During his tenure at the GJPD, Reece was a patrol officer, K-9 handler, field training officer, rifle team member and detective. He was promoted to Police Sergeant and in this capacity was assigned as a patrol supervisor, helped with training and recruitment and worked with Internal Affairs.